Chloe Foy took part in our first Both Sides Now residency led by Beth Orton. She has since gone on to support the delivery of our first Both Sides Now residency for young female artists aged 13-18 at the British Music Experience in Liverpool. 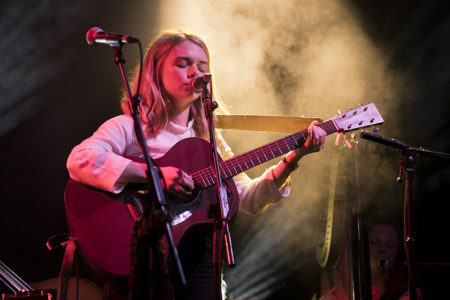 In October 2018 she played at a Both Sides Now showcase at the English Folk Expo. Chloe writes a brand of melodic, homegrown pop. Her songs are imbued with lyrical and textural inflections evocative of much of the music she loves – taking inspiration from classical music as much as wider trends within British and American Indie pop, Chloe’s music comprises of carefully constructed arrangements that delicately compliment her cryptic lyrics. In 2018 Chloe was selected to perform at SXSW festival in Texas. CHAINES (Cee Haines) took part in our Both Sides residency with Anna Meredith in September 2018, which culminated in a performance at final event as part of The Hexagon Experiment - our six-part series bringing together pioneering women from music, art and science. 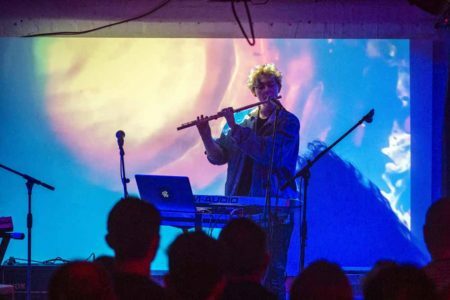 CHAINES writes surreal and fantastical electronica and electro-acoustic music. Since graduating from the Royal Northern College of Music in 2013, CHAINES has released a critically acclaimed album ‘The King’, and worked extensively with the London Contemporary Orchestra, premiering works at venues such as the Royal Albert Hall (BBC Proms 2018), Tate Modern (Uniqlo’s Tate Lates series 2017) and the Roundhouse (Ron Arad’s Curtain Call 2016). Nicole Raymond (NikNak) has taken part in two of our Both Sides Now residencies for emerging artists - led by Shiva Feshareki and Anna Meredith. NikNak is a DJ & turntablist who specialises in playing eclectic styles of music. NikNak is also a qualified live and studio sound engineer. Having graduated with a degree in Music Technology and Innovation from DMU, NikNak is currently studying for an MA in Electronic and Computer Music. She is currently affiliated with House of Verse in Leicester, Girls That Gig and SlutDrop in Leeds. 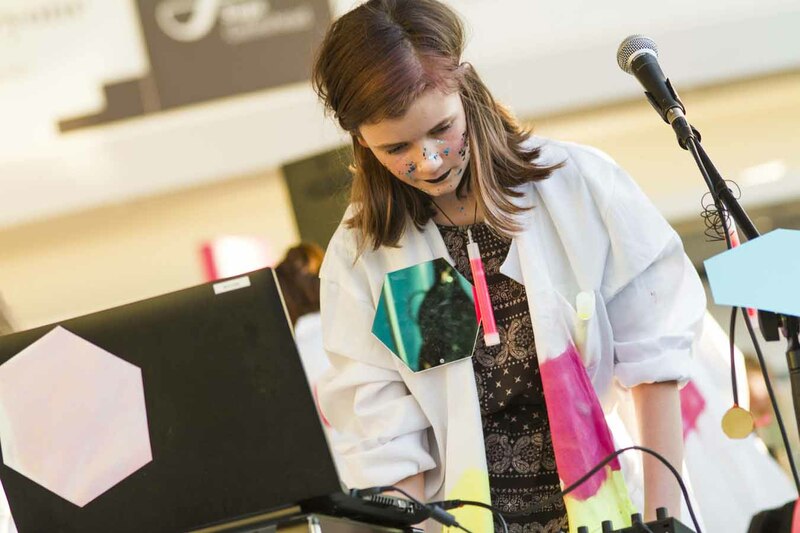 In August 2018 Amelie took part in Making Waves, a music tech project for girls aged 11-16 from Newcastle and Gateshead. Amelie started playing the violin when she was six, and went on to learn the electric guitar and keyboard, which she uses in her school music lessons. Over five days, Amelie and 10 other girls from the North East worked with a team of pioneering electronic artists; Afrodeutsche, Vicky Clarke, Mandy Wigby and Caro C. The group learnt how to use contact mics, arduinos and audio interfaces, experiment with everyday materials, and find and record their own sounds using software such as Ableton and Borderlands. 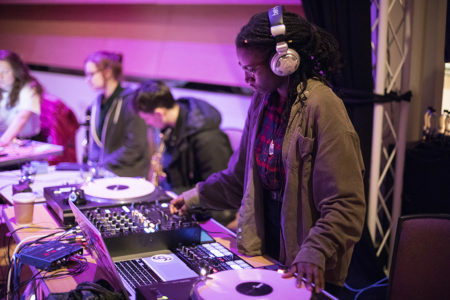 Performing as the ‘Twisted Sisters’ on the final day the girls premiered their work at Sage Gateshead to an audience of 150 people, including Mercury prize nominated musician and Both Sides Now ambassador Nadine Shah. Before the project Amelie’s parents were encouraging her to practice more regularly, which she was resisting. Now Amelie is not just practicing more, but making more of her own music. The Making Waves project prompted her to be more independent and creative, opening her eyes to the endless possibilities of how music can be made, and what it can sound like. After Making Waves Ableton kindly donated music licenses to the group so they can carry on their adventures in music tech. Watch this space!